Map showing location of Opal Hot Springs and Holiday Park . Use the controls on the map to zoom in and out. I visited this hotpool sometime in March 2005. I only swum in the three outdoor pools, one of which has swimming lanes and was very cold. The other two weren't much warmer really. Quite disappointed. They have indoor private spas too but I didn't see them. They also have an outdoor private pool with mysterious dark water, but I was too cheap to pay extra to swim in it. A hotpools complex with plenty on offer. Four pools that are part of a holiday park and can be accessed independently. The 3 thermal pool range in temperature from 37-40 degrees. The complex has a well maintained retro feel. There are private pools available. Looking forward to visiting again and spreading the word about this hidden gem. 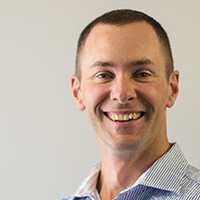 A rural setting and close to Matamata. Place feels a bit dated and needs some TLC. Main pool had some foliage in it from the bamboo alongside the pool. The 1.2m Geothermal pool needs a fresh coat of plaster as the water has eaten away at it over time, ground in it is a little rough. The Hotter pool is a bit too shallow but nice and warm. Access to the pools will be tricky if you have a disability as there are some steps and steep path. Water itself is nice and warm, can't smell anything like sulphur. Signs around the pool do note it is filtered. Overall the place would be great if a bit of money was spent on the place. When I arrived I asked what time they close. I was told 9pm. I asked would we have 5 min to ba able to change. No problem was the answer even if we stayed longer it would not be a problem. There is a clock however not enough light to see it from the other side of the pool late at night. Then suddenly the lights went off. I ended up hurting myself in the dark as a result I have a light concussion and whiplash. Saddest thing is not even a sorry from the owner as we should know what the time is. I had overseas guest with me and they are both fire officers. They thought it was rather strange the pool was not checked if it was empty. We have been visiting there for 40 years although not regularly lately however this attitude I have never experienced before. The middle pool needs some maintenence also. I used to go to opal hot springs all the time as a kid and teenager with family and friends - i spent quite a few holidays in the holiday park too. I have the most wonderful memories of it! The pools have never been flash but the place had character and a really lovly family feel. Im now in my mid twenties and took my partner there for a day out over east. The place was so dirty and run down i couldnt believe it. All the vegetation was overgrown, these was stacks of wood and garbage lying about the place, the pools were very dirty and the toilets and change rooms were so bad i had to 'hold it in'. The worst part was that the garbage bins were overflowing and there were flies everywhere. We left after about 15 minutes when we saw that our towel bag (which was sitting on the spectator seating) was covered in no less than about 20 flys. This place is a health risk, very disapointed, would not recommend. I used to have a caravan here and spent most weekends here. But was shocked to see the deterioration of the pools. The pools are filthy. Scum around all the pools. The big main pool had all sorts in the bottom of it. My 3 year old grandson would not even use the pool toilets. What a shock. Pity as they used to be great pools. Won't ever go back. It was epic as, best stay ever loved the free candy. Very good for price. The owners are kik bak as. Defientiley going bak. Also their son Kendall is really helpful and very kind 2 me. Ten out of ten for the private pool - I dont even bother going in the larger pool at all. The woman owner is rude. She seemed to think we had booked earlier than we had and almost growled at us because we were late - despite the fact we were there ten minutes before we had booked in? Def make the trip, but stick with the private pool at the bottom - take some wine and cheese. Bliss! It is gorgeous. The most beautiful place to relax. Totally tranquil. So affordable! Ramaroa private pool is heaven and addictive. The owners are very friendly peaceful people, who are unobtrusive masters at sharing their slice of heaven and ensuring you are getting all that you want. Well worth the drive from Hamilton to cure my troubled back aches. Better than any physio or back treatment I've ever had. It really works overnight. I went there last week. I went to their private pools. I won't say that they are the best but it is some sort of cool. I really enjoyed these hotpools. They are value for money and one of the cheapest Ive been too. I really enjoyed the private pool the most. Very nice atmosphere with lush green vegetation to great as you make your way down the grove to a hidden pool that reminds me of ancient roman ruins. I really dont know what racheal was talking about. I find them better than the Te Aroha pools and the Waingaro ones. 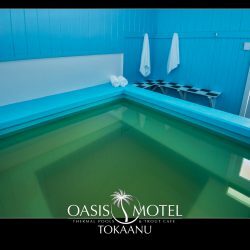 As the Te Aroha are too small and expensive with only a short time period to use them, while the Waingaro ones lack showers, privacy, and is set up for rugby heads and pool parties... not an atmosphere I like when I want to relax. While the private outdoor pool was nice it wasn't worth the drive from Hamilton. The large pool was a bit too cold for a winters evening swim. 2 really nice hot pools, one quite deep and one quite shallow. Had a great nights camping here, facilities were all there available - not the flashest but classic old school camp ground with character, the same as I remember it 30 years ago. The prices are inline with the facilities and all toilets/showers/kitchen areas were always clean. Pool was relaxing, they did have a big storm the previous night but with a bit of TLC most of the mess was cleaned up "no drama". The owner George even took time out of his busy schedule to take our girls for ride on his TukTuk bike (tricycle with carriage).Which they loved. Owner was a friendly guy and always showed an interest at what was going on around the campground. The little shop had lots of goodies you could buy also.Would recommend to anyone who is looking for a cheap holiday for their family with pool facilities and without the large expense of the Top 10 holiday parks. We stayed in the cabins (number 2) this week for 3 nights as far as accommodation and facilities go.....for the price not bad the bunk was super squeaky so put the mattress on the floor for my son to sleep on no big deal.the showers were shocking in that block but the ones by the kitchen were better,I guess a fair bit of upgrading is needed to be honest, in saying that we enjoyed the atmosphere of the place and found the service good. I guess the question is would we go back....definitely. As for the pools we didn't do the private pools I thought $10 per person for 30 mins was a bit steep and i am tight so we only used the outdoor ones, are they the best in the country?....no but they are still nice and we all enjoyed them. Visited a few months ago. The private pool down by the river sounds good but the rest was disappointing to say the least. Ridiculously SHALLOW top pool (the only one that seemed close to the usual hot springs warmth), old bleak concrete block surrounds. Staff OK albeit somewhat matter-of-fact and ho-hum (having seen the facilities I now understand their lack of enthusiasm!). 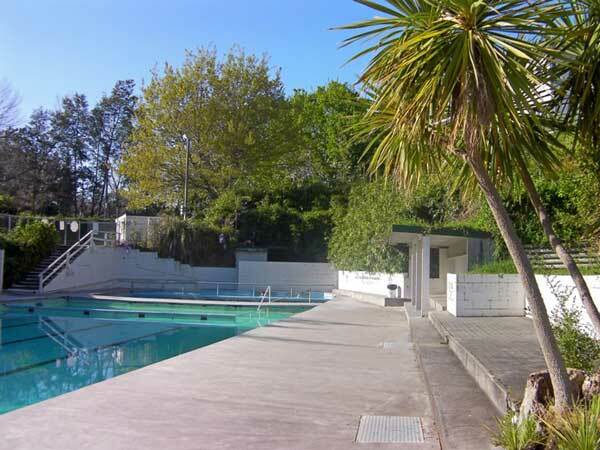 I think money better spent at the excellent Firth Tower museum nearby or at other pools such as Te Aroha's unless you were camping there and used the large cool pool for swim exercise or to occupy the kids. not overrated not pretencious but exactly what we needed drive down from auckland was beautiful or cabin was very clean and tidy as much as this place is very modest to look at.It must of been our best weekend away for a good number of years we really appreciated the lovely husband and wife team running the place they were so nice as were all the other guest yes its a little out dated yes some parts could use a little lick of paint but couldnt all of us. @Carol Thank you for your feedback. Sorry you were disappointed with our pools. Unfortunately when you arrived we had suffered a major storm. We were in the processes of cleaning up, but had to leave the main pool open for a swim club booking which couldn't be cancelled. The next day we emptied and scrubbed the pool , (a process that takes 4 days). Everyone was advised at the time of payment of leaves in the pool. Love this place for a mini break. Casual, relaxed and friendly. No fuss. 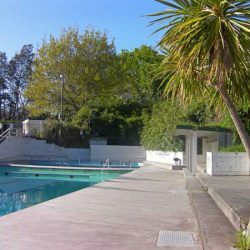 Plenty of options to swim without crowds, easy access to all amenities and reasonably priced for a family break. Maybe starting to need a little spruce up in the amenity block and unfortunately there was a problem with a few flies this year. We were assured it was a one off and we have never experienced them before. The team seem to be friendly and motivated to help. what strikes me above all else is the down to earth owners and friendly service; warm, welcoming and easy going. 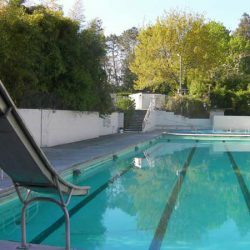 Let us not forget the health benefits of the mineral pools, which are included in the price whether you are casual, semi-permanent or you enjoy a trailer park lifestyle and live here as a permanent resident. Continuation of building maintenance takes time and $$$$, so it is pleasing to see that apart from a face lift the park is clean, tidy and refreshing. I am aware that the new management has only been in control for slightly over twelve months but would that not be enough time to get cleaners who actualy know how to clean? Filth on the top of the walls that has obviously been there for years! Cobwebs in the bedroom and toilet, coffee rings on the table, dirty oven, walls and floors, mould on the ceiling and wardrobes, musty smell, large pieces of paint flaking off and the cups were very badly stained brown (easily removed). The toilet seat was almost completely off on one side (how could the cleaners not notice and simply tighten) along with a whole lot of other maintainance issues such as a hole in the wall from rot that I could mention. I do realised that if the camp has been neglected for many years that it is an ongoing job for the new owners to get things up to scratch but a lot of things could be done with little to no cost that would make all the difference. One thing that concerned me in the regards to safety was that the fire alarm was removed, although it was still in the room minus the battery but maybe more importantly the fire extinguisher had not been checked and recharged in 10 years! A major breech of the regulations. On the plus side, the owners are lovely, the grounds were well maintained and the linen and towels etc were all clean and fresh. UNDER NEW MANAGEMENT Your new hosts are George and Rachel Helms We took over on the 21st feb 2011 This weekend we are taking out the bamboo from around the pool to stop the leaves going into the pool. We are planning to repaint all the buildings inside and out. Revamp the toilets and showers. We are very friendly and helpful and looking forward to seeing and looking after you. 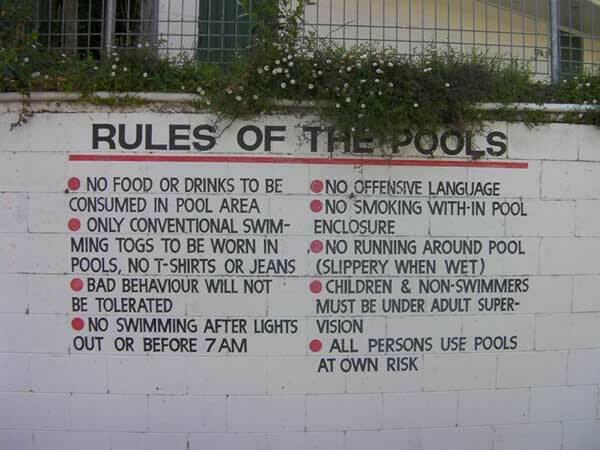 Ps new rule for the pool for children. If they say they have had a good swim they get a free lolly! I have been going to opal springs for 40 years now, and have seen many changes over the years . I have read many reports here and saddened by some of them. This is an old campground that hasn't had a major revamp, the price charged reflects the camp condition, If you want to have security guards , staff in uniform, pool attendants then dont go here. This is not a $ 40 dollar a night camp ground, its a $12.00 with free pools thrown in. Parents look after their own kids, there are no nannys here to do it for you. 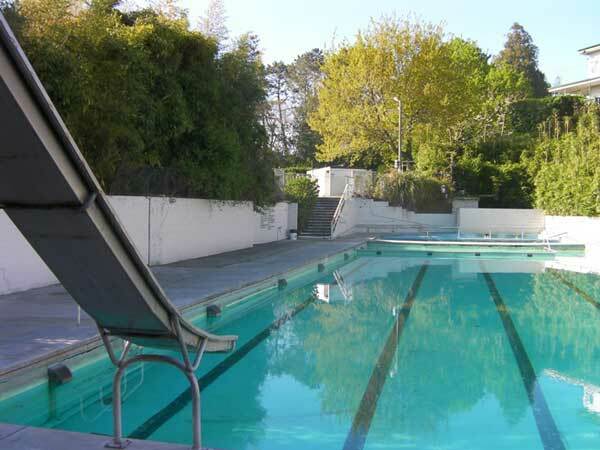 The mineral pools are cleaned every 2nd night and the main pool is a tepid pool chlorinated and filtered. These pools have lots of plant, scrub, etc all around it and its a windy site, so leaves do get into the pool . Its not a pristine glow in the dark camp site and the price reflects this. I have had many really enjoyable evenings soaking in these pools, talking to the other campers. Its a friendly social evening ritual. I do notice a difference in those that camp and those that rent the cabins, a totally different breed of people. I have seen many arguments at this park over the years many petty but mostly caused by cabin renters forgetting that the campers go there for peace and quite and a fun friendly environment. The things some cabin renters do have shocked me to the core many times, and that they believe they own the place because they are there with a few family over a few years. I do enjoy this park, the price is right, and Dave and Gwen do the best they can but they cant please all the people all the time, so there will always be conflict. I have told many friends about this park and will continue to do so. Its a central area so once the tent caravan is set up, you can safely leave it and go away each day and visit many places within an hours drive. We ventured over there a few weeks ago after finding the Te Aroha pools closed due to someone pooping in them. The pools are clean and the surroundings plain but presentable. However, the water was far too cold. The small "hot" pool which according to the sign was 39°C, was probably more like 28°C. The middle pool was much colder than the sign suggested and the large pool may as well not even be heated - best description of it would be "tepid". 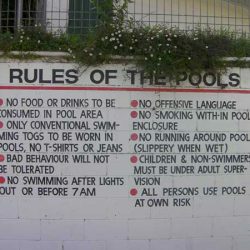 I don't understand why people who own such establishments can't spend a bit more time and effort in their upkeep and presentation, and actually have the pools as hot as what the signs suggest! What a grotty place, pools looked green, rubbish laying around pools also had some in pools, bits of stuff flowting in water, walls falling with rot into pools, worst of all you can see a scum line around the middle pool, no life guards or staff member to be seen anywere, This place is not for me and i will never go back. Yuck!!!!! I had my wedding here 1 year ago, & we had the most amazing experiance ever! the owners were very accomodating for us & our guests, who continue to rave about our wedding & what a great place it is to go. We had an incident with a wedding guest being assulted by another of our guests, however the owners waved away our apologies for the noise & said we cant control everyone. All the non-guests at the park came & enjoyed the night too. We still continue to go on & off & I will be taking friends from the UK there this weekend! Never coming back again, Gwen (the owner) is a nasty person with no confict resolution skills, seemed to be quite judgemental, treated us as though we had germs, spoke down to my wife and scared our little fellas 7 & 5, one of whom is so shy and quiet it's hard for us to get him to speak out, he cried and cried because she was so nasty to us, I hope she reaps what she sows, never again. Cheap and nasty beds, ended up sleeping on floor!! Dirty cabins, pools disgusting. The place has good facilities but the new managers have no people skills at all. My son was punched in the face after one of their permanant residences was asked to stop sexually hasseling two girls aged 14 and 15. The managers then called the police on the boys rather than deal with a permant rewsident who is a public menace. These managers have no conflict resolution skills and are argumentative. They resort to calling the police rather than facing their own short comings in dealing with the public. I would not advise anybody who wishes to relax to patronise this place. I have stay here on many occasions but never again. I had a fun holiday camping at Opal Hotsprings with my children. They loved the big pool and I loved the two natural outdoor public pools. The temperature of the big pool was a little cool for my liking, but it was an awful lot better than cold bathing! I liked the fact that two of the pools weren't chlorinated. The private Ramaroa pool was booking for the experience. We have been coming to Opal springs now for many years - first tenting, then caravaning and now motor homing. We have been at the camp in the middle of winter and boy are those warm pools welcome at that time of the year! Our two children learned to swim in the warm waters (they do not enjoy the cold!) When Ramaroa pool was "re-vamped" many years ago, we were the first to partake in the beautiful surroundings - so peaceful and quiet and the beautiful clear water straight out of the spring.. We still enjoy soaking in Ramaroa Pool, but not in the middle of a hot summers day - best time is in the evening - and even better is on a cold winters night when there is a frost on the ground!! This is a very special place, the Ramaroa pool, a completely private pool set in rustic ruins of the original pools. We make a trip probably once a month, on our own or with friends & family. Reasonable at $8 for a half hour but often I book two spots. Has a different character day to night, day you can see the the water is perfectly clear, the setting is very rustic and surroundings bushlike. At night its feels like you're in a different world, very peaceful and relaxing, a torch and candles are a good idea for extra lighting. There is also private spas/pools and the large pool area but these are nice/average. Book ahead for Ramaroa, esp weekends & holidays.